Every commercial setup has one common component in huge numbers – and that is, a lock and key system. From securing the front doors, windows to the storerooms, safes, cabinets, their prevalence is everywhere, and it’s not without reason. Owing to the vast magnitude of sensitive information and valuable assets they hold, lock and key systems form an inseparable, a vital part of a commercial property’s security infrastructure. As such, you need competent business locksmiths to install/upgrade/repair/maintain them. Northbrook Locksmith Store is a premier, all-round locksmithing firm that also has a specialized division to cater to the demanding needs of business clients. From providing consultation on business security to providing contractual upkeep of locks in the premises, we provide 360 degree solutions that meet all of our client needs. Commercial spaces, in general, have locksmithing needs that differ vastly from those needed at residential spaces. We understand how challenging it could get and go the extra mile to meet those challenges. 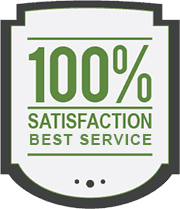 All our professionals are trained locksmiths who’ve helped secure countless businesses, industries, institutions, offices, stores and more in Northbrook, IL area in the past. They also uphold the confidentiality and privacy of clients in strictest confidence, which is essential to prevent divulgence of information to unauthorized parties. We own the best of tools and cutting-edge machinery to facilitate the provision of quality services. We’ve also got the best range of locks and security systems to ramp up the security of your property. Security forms the top priority for a vast majority of business owners. Equipping your property with the latest security systems and locks does not guarantee foolproof security. 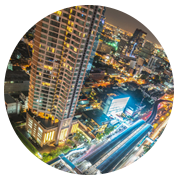 What you need is expert insight into your property’s security level and deployment of measures that are customized to suit specific requirements. Our consultations are free and you can get a complete overview of your present security level and on measures to improve it. Once you give us the green signal, our experts will implement the suggested solutions and ensure that your property is secured from external and internal threats. You might have an important meeting with clients in the next hour and might lose access to the conference room. The embarrassment leading up to such an event could be huge and also portray your business in poor light. The next time you face such a situation or get locked out of your own property due to a jammed door or a missing key; instead of wasting precious s business hours, you can count on us for immediate assistance 24/7. Owning a business ourselves has made us understand the importance of consistency in business operations. For this reason, we ensure that any lock & key emergency is dealt with swiftly, so that disruption in your daily schedule is kept to a minimum. 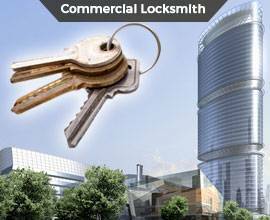 For comprehensive commercial locksmith solutions for your business, rely on our experts!